Hello my lovelies! I just wanted to drop in with a quickie wee post before I put together today's colour palette. I've added a few lovely new ladies to my wee shop shelves this week and they're looking quite summery and lovely all gathered together. And after a morning of sitting in our sunny garden, with some crochet work to hand, I wanted to mark the occasion - yes, I think the summer might have just arrived in this fair city! Although you can't please everyone as this wee chap seemed to think it might be too warm!!! Daisy is such a sweet, sweet pincushion. Your blog is always full of such great inspiration. ~Ms. A. It seems to be trying to arrive here (Dundee) too. oh - such beautiful creations!!! i can't believe how cute they are! 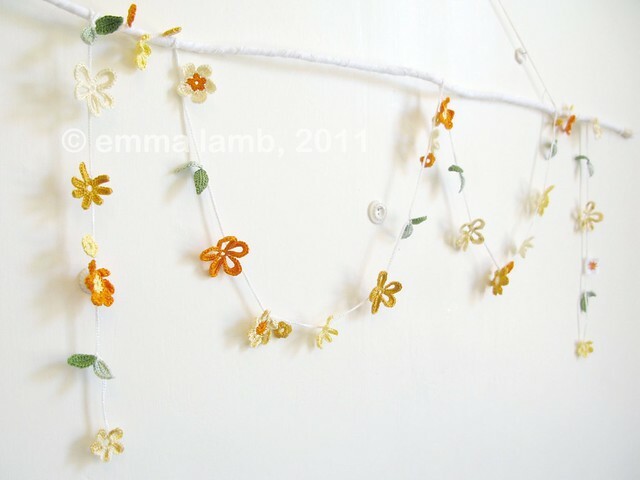 i love the pincushion, the garland, everything!!! you are so creative. Thank you so much you guys... ! 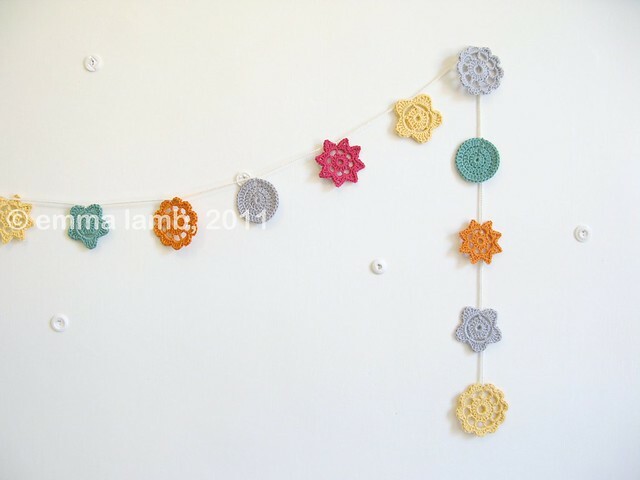 Lovely crochet beauties! 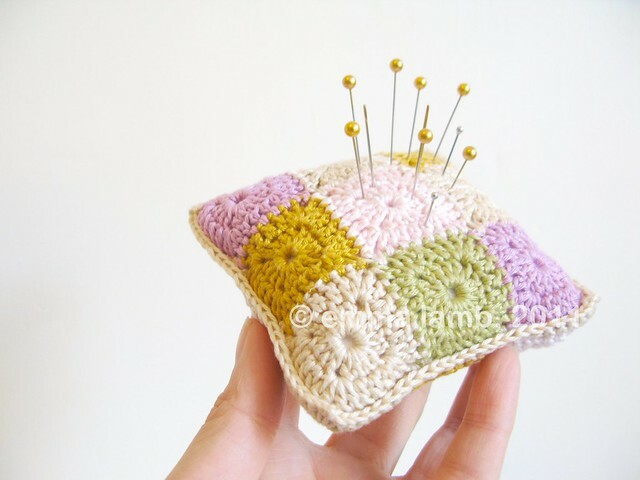 I'm addicted to pincushions and think I'll have to start a Pintrest board just for them - here's my first pin! Beautiful day here in North Wales too and fingers crossed it stays that way - our music festival is on the "top of town" this afternoon! I so wish Peggy was living at my house - it would be perfect for my girls room!! Hi Emma! We posted about your cushions covers few days ago. We hope you like! All beautiful but there is something about Molly's sunny yellows that makes me smile. Hi Emma! I've just left a comment at your flickr. I wanted you to know that I had added one of your lovely photos in a mosaic, but at the moment I was leaving the comment, I read in your profile that I should have asked your permission to do so. I'm so sorry about that! I hope you don't mind, I'd love if you let me know. Thank you!